While Ipe, Cumaru, and Red Balau are undoubtedly our best-selling tropical hardwood decking species, they’re certainly not the only options that we carry! And just because a species is a tad less commonly appreciated doesn’t mean it’s not the ideal choice for your particular taste or project needs. So let’s take a look at a few more decking options we recommend that have excellent characteristics which you’re bound to appreciate for decades to come. 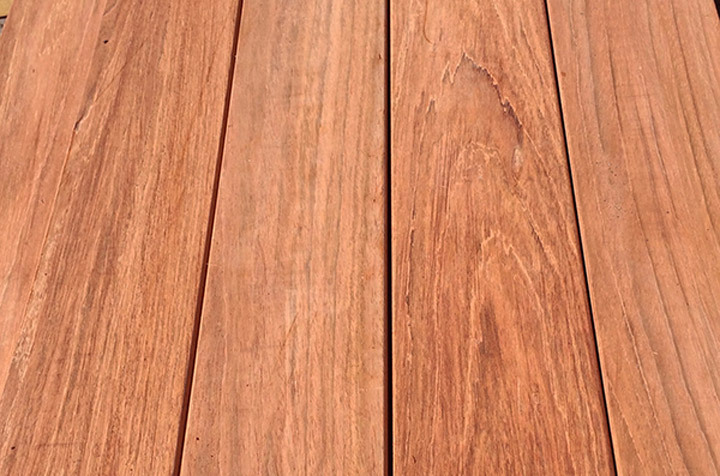 After Ipe, Cumaru, and Red Balau, Jatoba is among the most popular decking species that we sell. Known as Brazilian Cherry, this species is also a popular choice for interior flooring. Offering the ability to blend indoor and outdoor living spaces, Jatoba presents a highly sought-after benefit for those who love fluid design. With a hardness similar to that of Ipe, this tropical hardwood also offers excellent stability and a high degree of resistance to both rot and insects. The gorgeous red hue of Jatoba will deepen over time, allowing it to offer a striking appearance unparalleled by any other option. Nicknamed for its orange-tinted brown background with dark, tiger-like striping, this species can also be referred to as Goncalo Alves. (Note that Tigerwood will naturally darken over time to a deep reddish brown.) 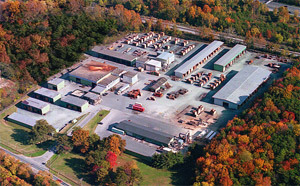 Stable in most climates, Tigerwood requires kiln drying in order to achieve optimal stability. 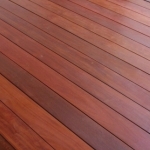 Used for both exterior decking and interior applications, Tigerwood is a readily available tropical hardwood species. However, the variegated appearance can make achieving a consistent appearance a bit of a challenge. 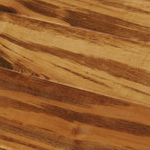 Another down side is that the extremely smooth texture of Tigerwood can become slippery when wet. This dense, hard species can also be referred to as Bullet Wood or Brazilian Redwood. The large Massaranduba tree yields plenty of straight boards with consistent grain, ideal for decking applications. With exposure to the elements, Massaranduba’s deep red coloring will mellow to a brown. With approximately 80% the hardness of Ipe, Massaranduba is highly durable. Drying can present an issue for this species, though; splits and checks often occur. Although not recommended for extremely dry climates, Massaranduba is highly popular in the wetter European climate. 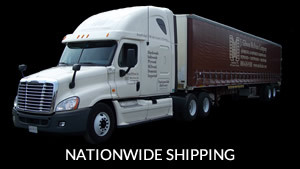 As long as your job site offers sufficient moisture levels, you can expect Massaranduba to perform well. Easily available and priced similarly to Cumaru, this species may be a great choice for you. Less common than any of the above-mentioned species, Garapa is a hard, dense tropical decking species. Sometimes referred to as Brazilian Oak, this species displays an unusual lemony yellow color that may be just perfect for some settings. About 60% as hard as Ipe, Garapa tops most domestic species when it comes to hardness. With a class A fire rating, Garapa is certainly a durable decking species. If the color doesn’t suit your taste, you can always apply stain to make it look like a more traditional decking choice.